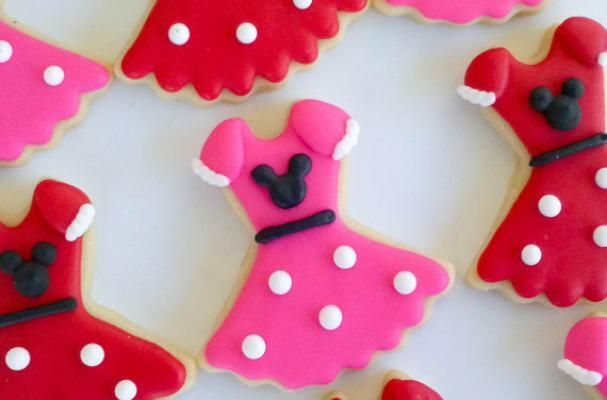 These Minnie Mouse dress cookies are a girlish Disney dessert. Made by A Cookie Jar, these shortbread cookies come iced in a vibrant pink and radiant red, completed with white icing frills on the sleeve. Of course, the cookies are completed with Minnie's infamous head silhouette. For another Disney dessert, check out these Mickey and Minnie Mouse Oreo pops.